You won't catch us stopping by any fast food restaurant when traveling. We even try to avoid Chick-Fil-A and Chipotle. We quit eating fast food a while ago when I realized just how unhealthy it really is. One of the last times we stopped at a Chick-Fil-A I felt incredibly ill. Despite parking a significant distance away from the entrance, the smell of the fast food really affected me. We could not resume our travel for at least half an hour. The problem with fast food and actually food at a lot of restaurants is that the ingredients are cooked with hundreds of chemicals and artificial additives. You don't ever see them but these harmful things are ingested every day by most of America. Once I started eating clean it was very difficult to eat in an unhealthy manner again. My body gave me signals and I had to pay attention to those signals. My body was essentially rejecting the bad food. That's what fast food is -- bad food. It's the opposite of fresh, nutrient dense whole foods. There is virtually no nutritional value in any fast food place because everything is saturated with heavily processed oils, refined sugars, and artificial preservatives and additives. So whenever we eat out we try to find "farm to table" restaurants and eateries. They are very easy to find. I search online for "farm to table restaurants" or "organic restaurants." Farm to table restaurants are known for using fresh local produce and many times they use produce from their own backyard. My family and I taste the difference at farm to table places. They are also better equipped to accommodate your food preferences, whether you eat gluten free, dairy free, refined sugar free, vegan, vegetarian, fishetarian or pescatarian, macrobiotic, chickentarian, lacto-ovo vegetarian, lacto-vegetarian, raw food, and so forth. Plus, I can unequivocally say that I've never been disappointed or dissatisfied at a farm to table restaurant. I think it's because most of the owners of farm to table restaurants are truly passionate about serving the freshest, local ingredients possible. They take the time to choose the food they serve and put lots of thought into seasonal menus and ingredients. It's a no-brainer. I'll have farm to table food over any fast food any day. There may be some folks who may be intimidated with the farm to table concept but from my experience, it's no different than eating at other restaurants. You can find very affordable places, or you can splurge and go to higher-end places. 1. The House of William and Merry Restaurant in Hocckessin, Delaware has to be my favorite restaurant. The food is unforgettable and the presentation is just beautiful. I loved every course! It also peaked my interest as the name reminds me of my alma mater, however, the owners William and Merry have no connection with the College. 2. The Restaurant at Patowmack Farm in Lovettsville, Virginia is still my favorite restaurant in Northern Virginia. It's where I recently celebrated my 40th. Everything tasted fresh and so delicious. I recommend it for very special occasions. 3. The Greenbrier in White Sulphur Springs, West Virginia serves delectable, incredible food. I enjoyed dinner there some years ago and to this day I am searching for a way to go back. It not only is a peaceful, lovely place to spend a getaway vacation, you may even be lucky to spot a celebrity. The week before I arrived Tom Cruise was vacationing there. And while I was there I walked passed Michael J. Fox, his wife Tracy Pollan and their children a few times. 4. Home 231 in Harrisburg, Pennsylvania is a favorite casual farm to table restaurant that I frequent. Though finding street parking can be an obstacle I have always enjoyed my meals. The food is so good and they are able to accommodate special dietary needs. For some reason I find their water very satisfying. Home 231 is a small restaurant so I recommend calling ahead of time especially on the weekends. 5. Fat Canary in Williamsburg, Virginia is a very popular farm to table restaurant. It's been a few years since I dined there and yet I still remember the experience so fondly. The service was excellent and the food was impeccable. I'd love to make it back there again. 6. 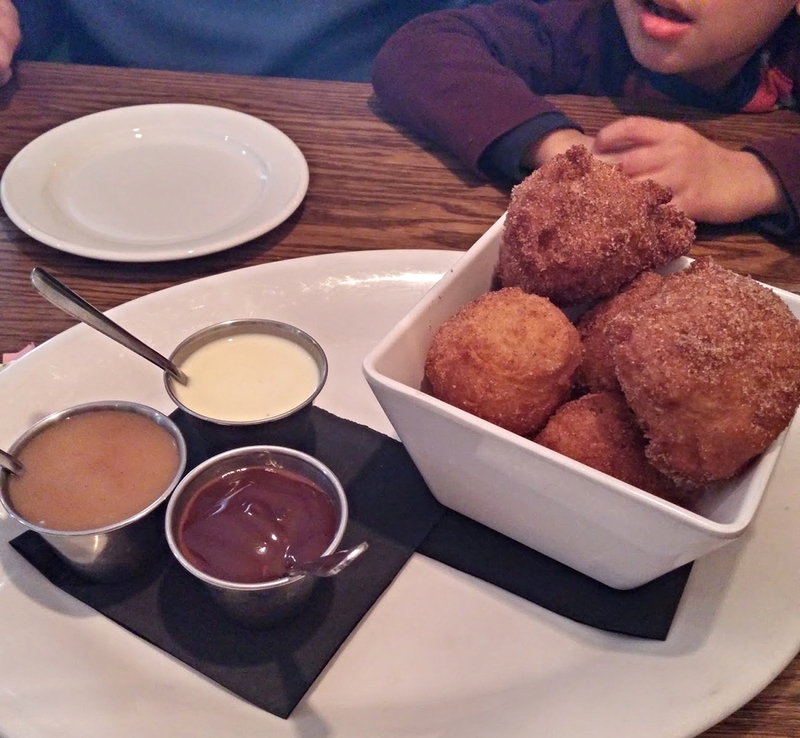 The Mill in Hershey in Hershey, Pennsylvania is another fantastic farm to table restaurant in Central PA. My family and I recently celebrated my husband's birthday and enjoyed a great brunch. Even our picky son ate most of his meal. This place is quite comfy and casual. It's a renovated mill from the early 1900's. We will definitely be back. 7. Commune in Virginia Beach, Virginia is the place to be for a farm fresh dining experience in the Hampton Roads area. I was there on Easter Sunday early for breakfast to beat the crowds. They make their own breads however they are not gluten free. Overall, the food was quite satisfying. So that is my list of favorite farm to table restaurants so far on the east coast. One of these days I'll make it to the other side of the country and I'll do a review on farm to table restaurants on the west coast.